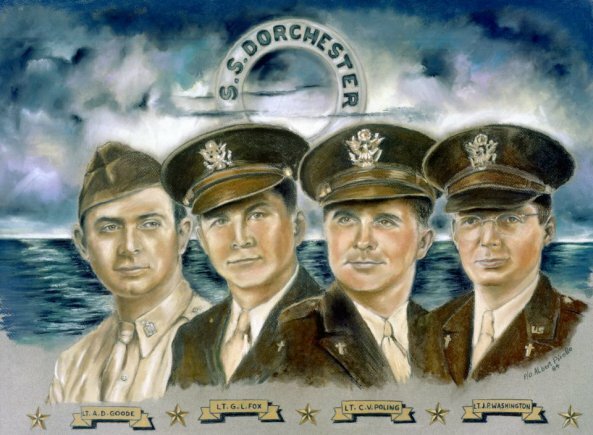 WASHINGTON (Jan. 28, 2014) — It was Feb. 3, 1943, and the U.S. Army Transport Dorchester was one of three ships in a convoy, moving across the Atlantic from Newfoundland to an American base in Greenland. A converted luxury liner, the Dorchester was crowded to capacity, carrying 902 servicemen, merchant seamen and civilian workers. Petty Officer John J. Mahoney, reeling from the cold, headed back towards his cabin. “Where are you going'” a voice of calm in the sea of distressed asked’ “To get my gloves,” Mahoney replied. “Here, take these,” said Rabbi Goode as he handed a pair of gloves to the young officer. “I can’t take those gloves,” Mahoney replied. “Never mind,” the Rabbi responded. “I have two pairs.” It was only long after that Mahoney realized that the chaplain never intended to leave the ship. 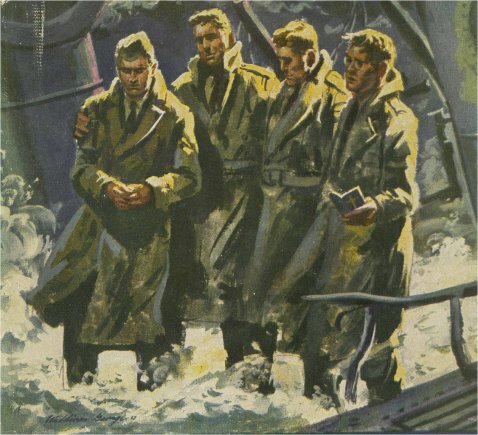 As the ship went down, survivors in nearby rafts could see the four chaplains — arms linked and braced against the slanting deck. Their voices could also be heard offering prayers and singing hymns. Although the Distinguished Service Cross and Purple Heart were later awarded posthumously Congress wished to confer the Medal of Honor but was blocked by the stringent requirements which required heroism performed under fire. 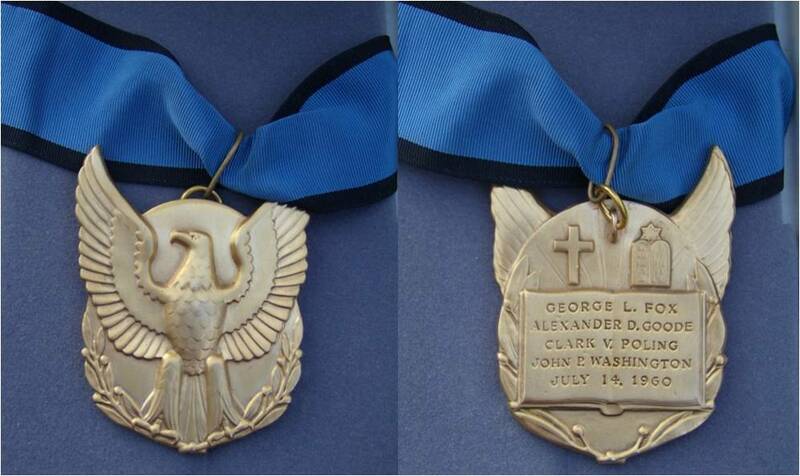 So a posthumous Special Medal for Heroism, The Four Chaplains’ Medal, was authorized by Congress and awarded by the President on January 18, 1961. 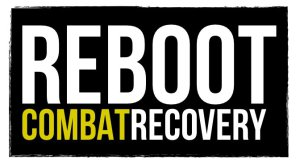 This post first appeared at www.army.mil: The Official Homepage of the United States Army.